Customers can obtain as many new generation coins as they possibly can. This is contrary to earlier reports that the Central Bank of Kenya has restricted the issuance of the new coins to 100 shillings per customer. CBK Governor Patrick Njoroge yesterday released a statement dismissing an article carried by the Daily Nation/Business Daily as false. The local daily reported that the bank had directed bankers to cap the issuance of new coins to 100 shillings per customer amid a hitch over public awareness. 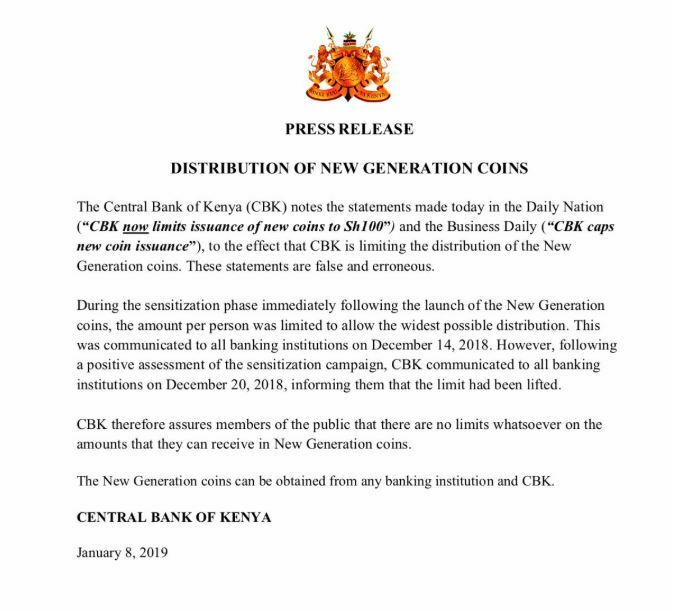 But according to the CBK, the limit was only in effect during the sensitization phase immediately following the launch of the new generation coins last month. This was done to allow the widest possible distribution. It was communicated to all lenders on December, 14. However, following a positive assessment of the sensitization campaign, CBK lifted the limit and communicated the same to all bankers on December, 20. “CBK therefore assures members of the public that there are no limits whatsoever on the amounts that they can receive in New Generation coins,” reads a statement. The new coins can be obtained from any banking institution and the Central Bank of Kenya. The CBK gazetted the new Sh1, Sh5, Sh10 and Sh20 coins as legal tender in December last year, replacing portraits of former presidents with images of giraffe, rhino, lion and elephant. This is in line with the 2010 Constitution requirement that Kenyan currency cannot bear the image of an individual. 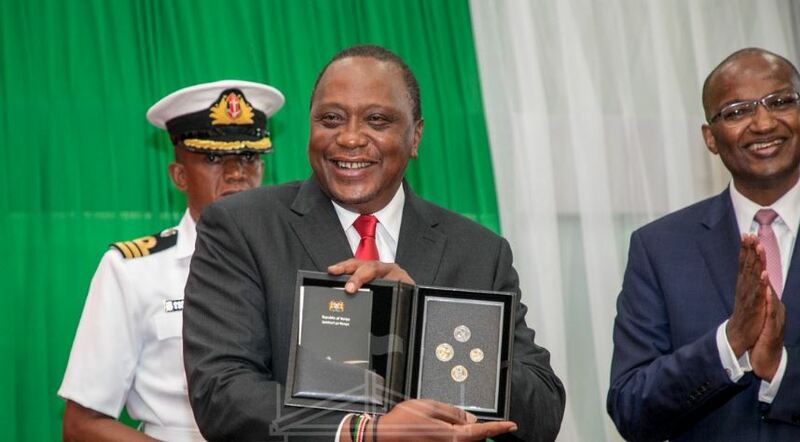 The new generation coins will continue the tradition of depicting an aspect that best describes Kenya. The Sh1 coin depicts the image of a giraffe while the Sh5 coin bears the image of a rhino. The Sh10 coin bears the image of a lion while the Sh20 coin has the image of an elephant.